Hands-on, practical and diplomatic, partner Bill Blalock’s primary focus is municipal and local government law. As Hall County attorney since 1992, William advises the county commission on local legislative, judicial and procedural issues including zoning, land use planning, governmental financing, intergovernmental contracts, personnel and many other issues facing a growing county. William is also available to county administrators for counsel on matters related to ad valorem taxation, law enforcement, civil service employment and workers’ compensation. 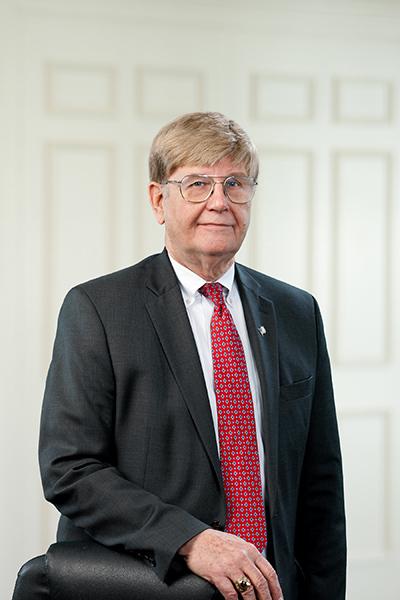 As a civil trial lawyer, William also has considerable experience in contract and personal injury litigation and workers compensation disputes. William served in the United States Army Reserve JAG Corps, retiring as a lieutenant colonel in 1997. He is a past president of the Northeast Georgia Bar Association and a member of First United Methodist Church. He is a graduate of the University of Georgia and the University of Georgia School of Law.